Stainless Steel. Carbon Steel. Ductile Iron. Stainless steel pipe & fittings are available in Sch 5, Sch 10, Sch 40, Extra Heavy Duty and several different gauge thicknesses. 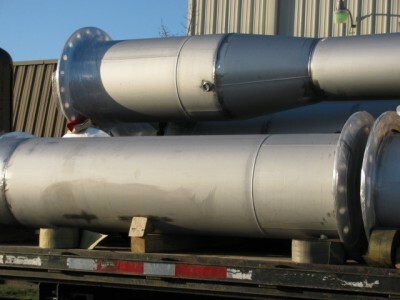 Types of stainless steel materials that are stocked are 304, 304L, 316 or 316L and other grades available upon request. 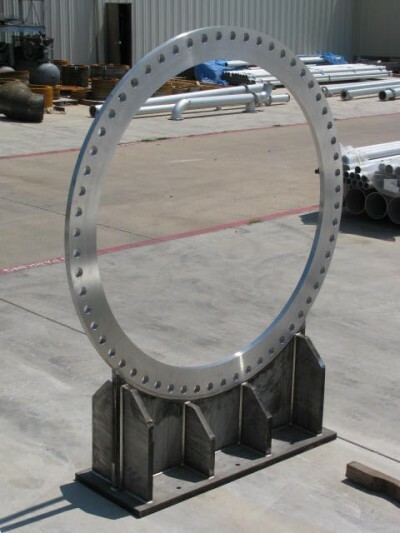 Flanges are available in slip on plate (AWWA C207, AWWA C228, ASTM A182), ANSI class 150, class 300 or stainless steel angle face rings with back up flanges made from either stainless or galvanized carbon steel. 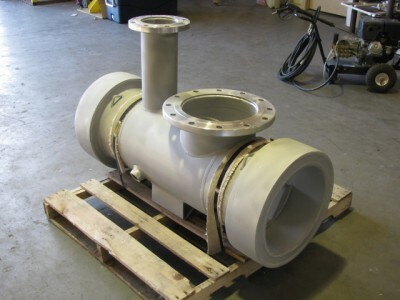 All Stainless steel projects include a submittal drawing to insure the product is fabricated 100% accurate. 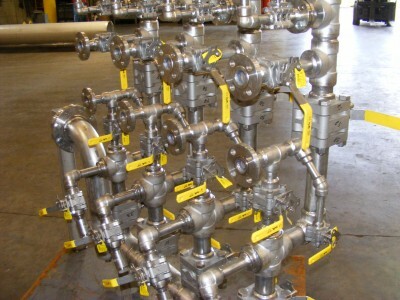 All stainless is cleaned per ASTM A380 standards, full immersion cleaning available when applicable. 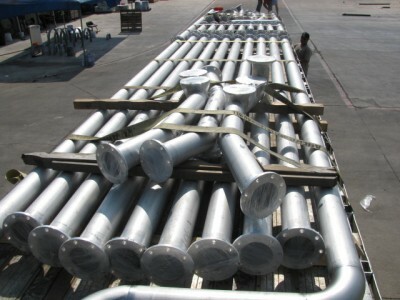 Carbon steel pipe is available in sizes from ½” to 108” diameter (standard pipe sizes stocked). 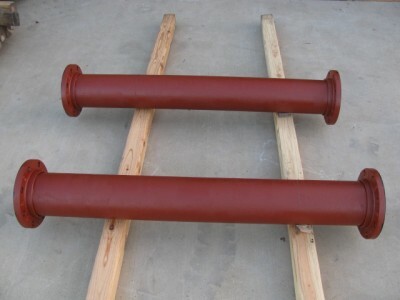 Lonestar also has the ability to roll pipe to any special interior diameter, exterior diameter or wall thickness that the customer may require. Lonestar has a full drafting department that works hand in hand with our customers to design the most cost effective way to build the product the customer requires. 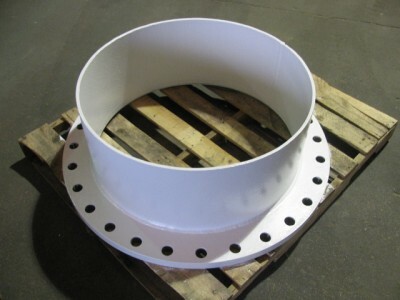 We stock a wide range of plate flanges (AWWA C207). 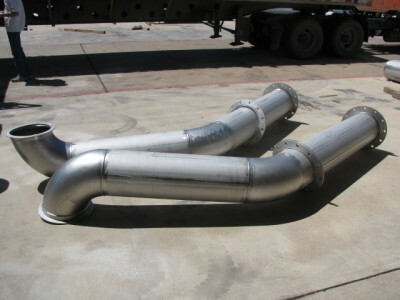 We have the capabilities to sand blast and apply most coating and lining’s required for carbon steel. 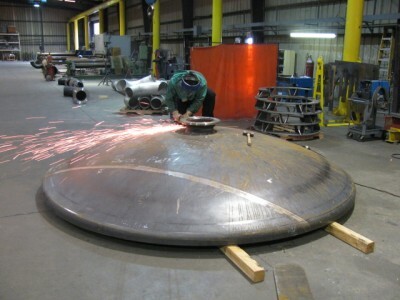 All carbon steel projects include a submittal drawing to insure the product is fabricated 100% accurate. 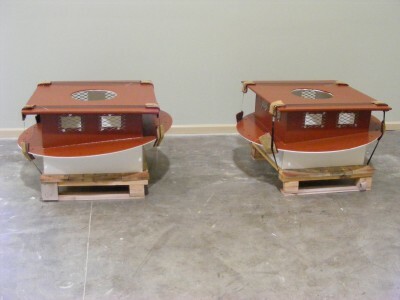 As you can see in our photo gallery, we can design and build almost any configuration needed. 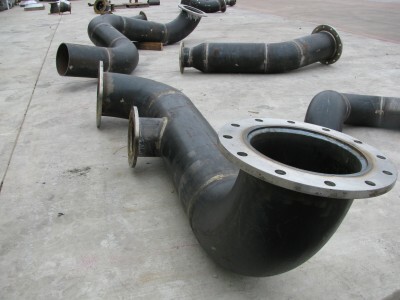 Our latest product addition is ductile fabricated pipe. The personnel Lonestar has assembled for this new line comes from many of the large ductile iron fabricators in the country today and some of the high quality fabrication companies of the past. 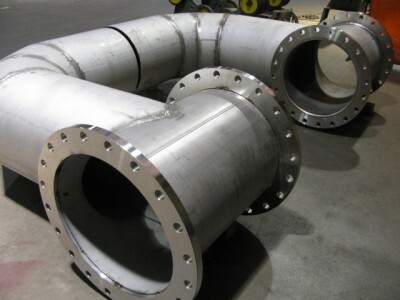 We are excited to be expanding into this area of the pipe fabrication business and will bring the high standards of product quality that we have built our company on and apply it to this new product line. 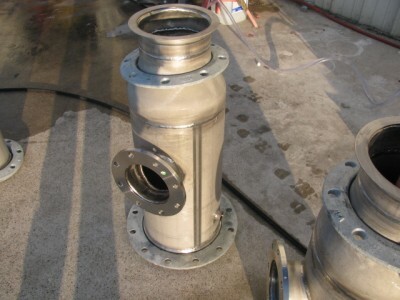 We can cut and thread 3” – 30” and have the ability to supply the large diameter pipes that may be needed. 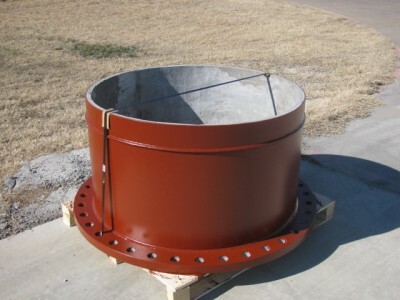 We stock all sizes of 125# and 250# flanges. 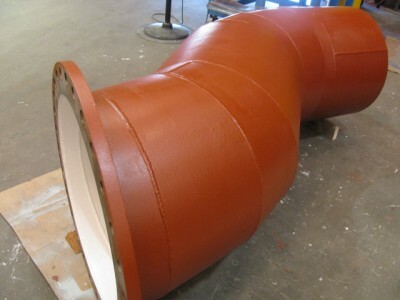 We stock cement lined pipe and Protecto 401 pipe (coming soon). 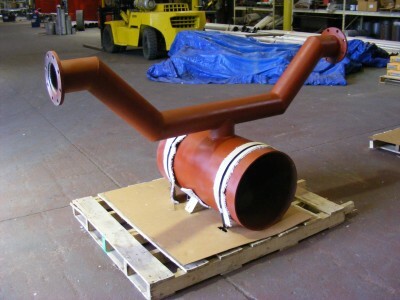 Lonestar has a full sand blasting and coating facility to apply almost all coatings required. 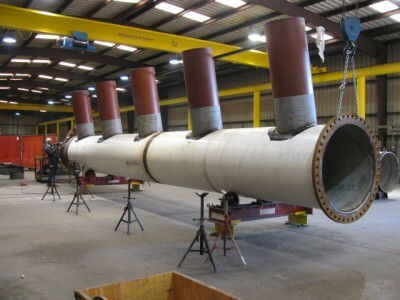 Lonestar does not spot test or random test our DI fabricated pipe. 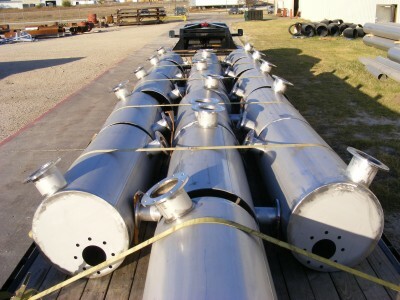 We test 100% of all 125# flanged pipe to 300 # psi prior to shipment to insure the customer gets a quality product. We don’t recommend the use of gaskets with rings made in them. This practice is only in place to hide poor quality, rather than make the pipe operate for the use it was intended. Flow meters designed for specific specialty applications. 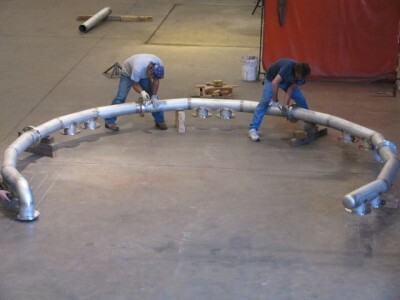 Laying out pipe designs before fabrication is completed to insure installation for the installer is easy.